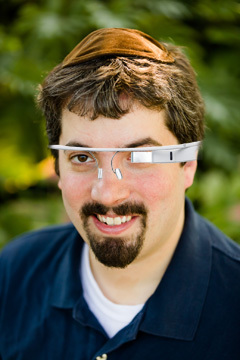 While today may be April 1st, aka April Fools Day, I am not joking around when I say that I am getting Google Glass. I wrote about it last Thursday at my company blog on how I will use it to integrate technology into Jewish life and I blogged about it at Marketing Land on how I was accepted and I was. Truth is, I was accepted and I do not know exactly when I will be getting them and when I do, I'll make sure to post real photos. Until then, I am Google Glassless. FYI, I am offline today and thankful that I am. April Fools is a horrible day to cover news. This story was scheduled to be posted today and was not written today. Previous story: Google Easter/April Fools 2013 Update?